A: Teams are co-ed and will consist of between 6-9 players per team. Players are grouped by skill level. A: Team matches will consist of three "best of 7" sets per match. There will be 13 matches per season and each player will play a mix of Singles and Doubles. Q: How do I qualify for the USTA District Championships? A: 5 of the 13 matches throughout the season will be played in the USTA format. For these 5 matches, players will be realigned into USTA teams based on age and gender. USTA teams must consist of a single age group (12u, 14u or 16u) and each USTA team must contain 4 boys and 4 girls. The USTA match format is 1 boys singles match, 1 girls singles match, 1 boys doubles match, 1 girls doubles match and 1 mixed doubles match. On the 5 designated USTA match dates, USTA teams at the same age group will play each other. Once the 5 USTA matches are complete, the team(s) with the best record(s) will automatically qualify for the USTA District Championships. Q: How many matches must I play during the JTT season to be eligible for the USTA District Championships? A: Each player must play in 9 of the 13 JTT matches to be eligible for the USTA District Championships. If a player is only registered for the 5 USTA format matches, that player must play in 3 of the 5 USTA format matches. Q: When and where are the USTA Disctrict Championships? Q: Do the 5 USTA format matches count towards the MSC Junior Team Tennis Season and vice versa? A: No, the 5 USTA matches count exclusively towards qualifying for the USTA Disctrict Championships and the 8 MSC JTT matches count exclusively towards the MSC JTT Championship. Q: Are there additional fees to play in the USTA format matches? A: The $319 per player price includes all 8 MSC JTT matches and 5 USTA format matches. However, there is an additional fee of $15 per player to play in the USTA District Championships. Only players who qualify and play in the District Championship will be required to pay that additional $15. Q: Do I have to be a USTA or MSC member to participate? A: Players do not need to be MSC members to play in the 13 match season. Players must be USTA members to be eligible to advance to the District Championships. 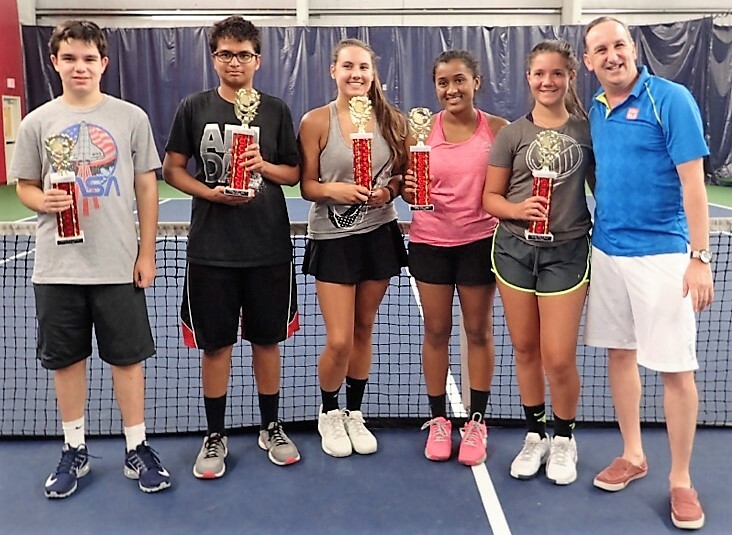 If a player wishes to not become a USTA member, they will still participate in the 5 USTA format matches at MSC, but even if they are on the winning team, they will not be eligible to participate in the USTA District Championships. 1 year USTA memberships are $20/player and must be purchased through the USTA website.